A long time ago in what seems like another life, I spent a good many afternoons working at Budget Tapes & Records in downtown Pullman, Wash.. That job was largely a response and partial financial solution to the record buying fetish I had all the way through college. I would eventually manage two Budget stores for a time. Not far from the record store in those days was the Post Office. This was the late 1970s. I suspect the mail volume going through that place exceeded the building's capacity long before a new Post Office came online. 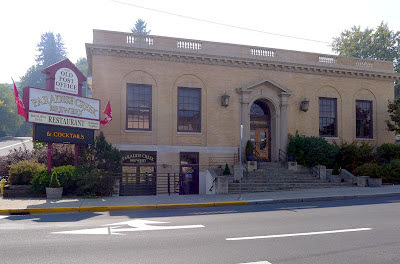 Anyway, the classic structure became known as the Old Post Office and housed a video store and theater during my years as a graduate student in Pullman, 1983-88. In 2003, the building was added to the National Registry of Historic Places for Whitman County. See, Pullman has more than just frigid winter weather. 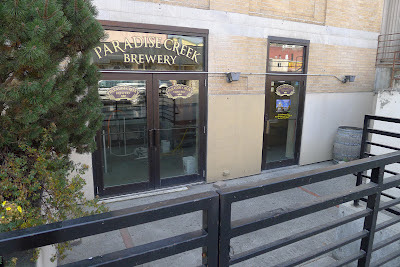 Today, the Old Post Office houses Paradise Creek Brewery, which opened its doors in 2010. I'll get to the brewing part of the operation momentarily, but it's instructive to note how the business was born. Some years ago, a gent named Tom Handy bought and renovated the Old Post Office building. Handy had lived in Pullman for many years and worked in Broadcast Communications up on the hill at Washington State University. A fledgling entrepreneur, he initially opened a wine bar and restaurant in the building. Several years later, he rented a portion of the building to a start-up winery, Merry Cellars. 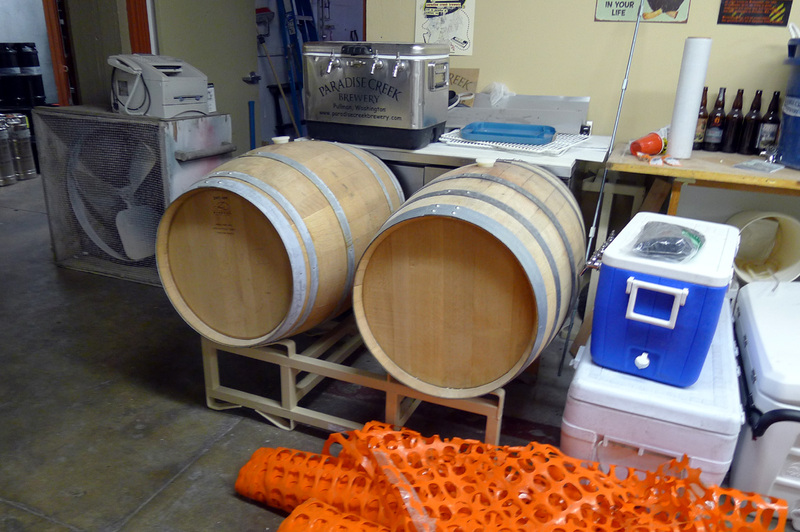 Handy then formed a friendship with Merry Cellars winemaker, Patrick Merry, and the two dabbled in homebrewing. Merry Cellars went on to great success and eventually moved to a larger location in Pullman. When they did, Handy jumped at the opportunity to buy brewing equipment and start brewing commercially. I stopped by Paradise Creek not expecting much. The sign said they were closed. Strangely enough, the front doors were open. They had forgotten to lock out the riffraff! I simply walked in and started looking around, acting like I knew what I was doing. Within a few moments, I was greeted with a pleasant, "Hello, can I help you?" Of course. The voice belonged to Scott Mackey, officially the creative director at Paradise Creek. Take a look at the website. I'm quite sure he wrote the bulk of the engaging, funny copy there. I informed Scott that I had come from Portland to investigate the rural brewing scene...that he should take me to his leader. Haha. Seriously, I gave him my blog card and introduced myself. I'm not really clear on why owning a beer blog should open any doors...indeed, I see fewer and fewer doors opening around Portland and I suspect blogs are largely being displaced by social media (I know, I know...that's another post for another day). Surprisingly, Scott offered to show me around and let me taste the beers. Big score. Honestly, this is one of the most visually imposing/appealing brewpubs I've seen, and I've seen a few. The old building has been tastefully renovated and retains much of the historic charm. 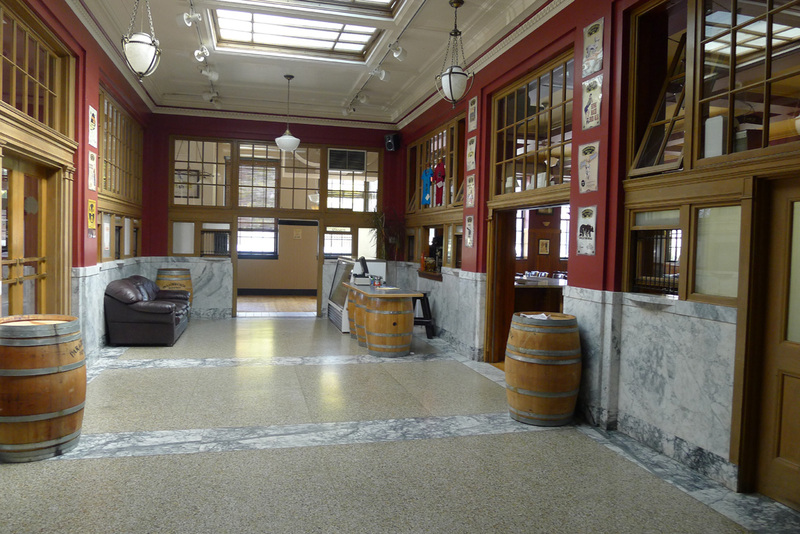 In the lobby, I recalled standing there, waiting to buy stamps or mail a package. 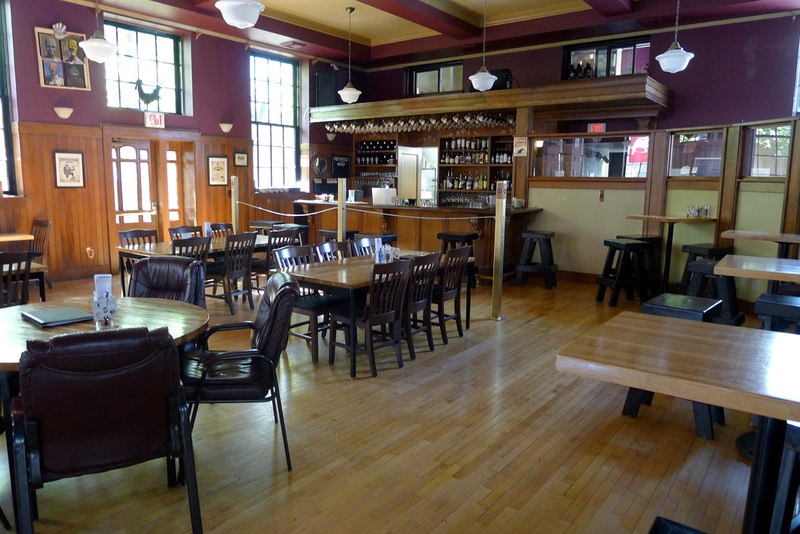 The dining area and bar occupies the area where mail was once sorted...and, later, where films were once shown. They can have as many as 12 of their own beers on tap. 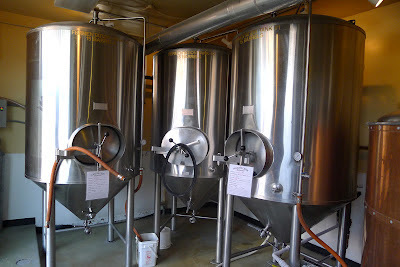 I tasted several beers, including Dirty Blonde, Paradise Belgian Wit, Over the Hop IPA and Sacred Cow Milk Stout. These are all highly drinkable beers. I really enjoyed the crisp flavor and mild tartness of the Wit and the Milk Stout is smooth and full of flavor. There's an extensive list of beers on their website for the curious. 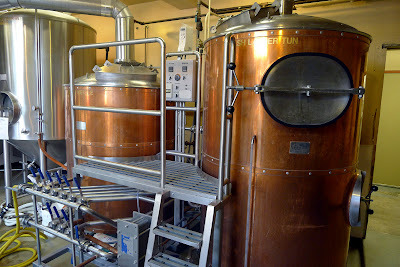 The brewing plant downstairs is home to a 7 bbl system. Three 15 bbl fermenters help them to keep up with onsite demands and limited distribution in the area. They recently started bottling several of their beers and are focused on expanding bottle and keg distribution from Pullman/Moscow and Lewiston/Clarkson into Spokane and even Seattle. We are unlikely to see Paradise Creek beers in Portland anytime soon. Frankly speaking, they will almost certainly need to expand their brewing capacity to fully capitalize on distribution beyond the Palouse area. Because the space they have for brewing in this building is limited, expanding distribution probably means an off-premise production facility. Sounds like a familiar problem and Scott said they aren't exactly sure what they might do about it. Time will tell. As with most of the places I recently visited in eastern Washington, Paradise is focused mainly on producing a solid portfolio of standard beers and seasonals. The Belgian was a big surprise and really good. They also have a Fresh Hop beer on their menu, and they have initiated as small barrel-aging program, so they are obviously aware of industry trends. I did not partake in any food. Hell, I was an uninvited visitor who happened to get in because someone forgot to lock the door! The menu leans on upscale renditions of standard pub fare. Most of the food reviews I read online were good...something to keep in mind for a future visit. Paradise Creek has a terrific look and feel. 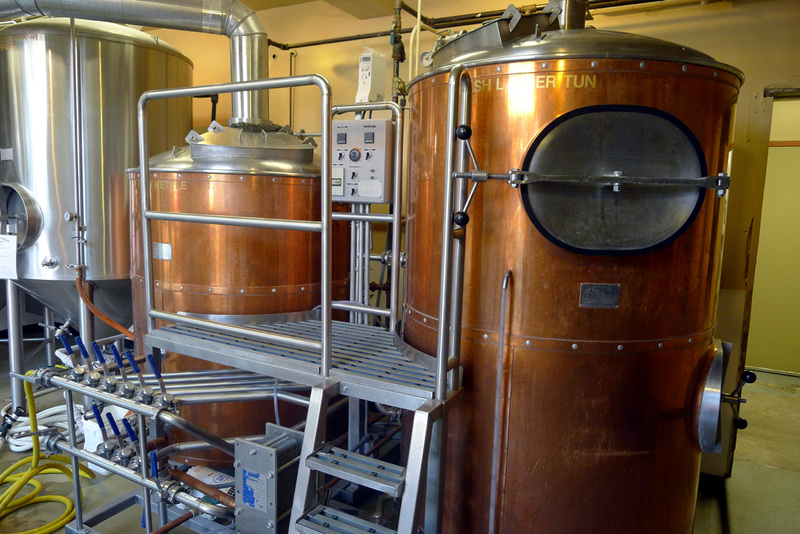 It's clear that a significant amount of thought and effort has gone into building the brewery and business. When I worked at Budget Tapes & Records, I saw a lot of ill-conceived businesses open and fold in Pullman. "Pullman jokes," my boss called them. 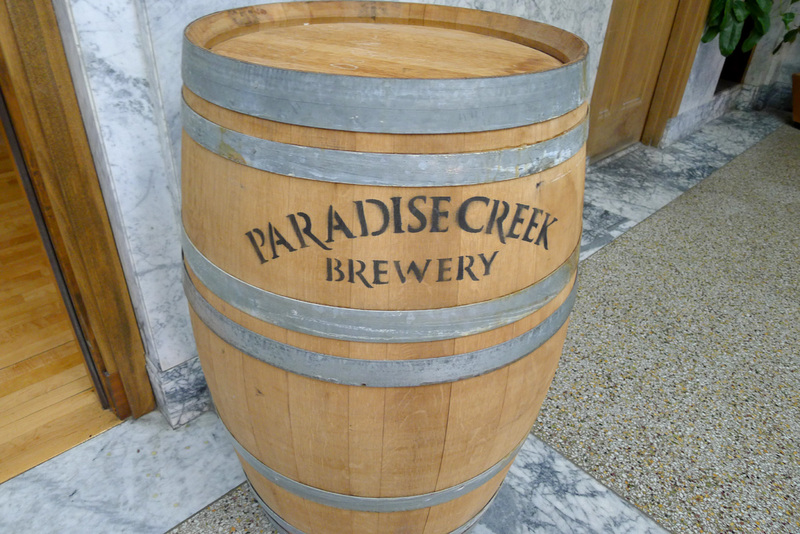 Well, Paradise Creek Brewing isn't one of them. Nice post Pete. I need to visit!